Home » Win 4 Tickets to UW VS. Colorado! 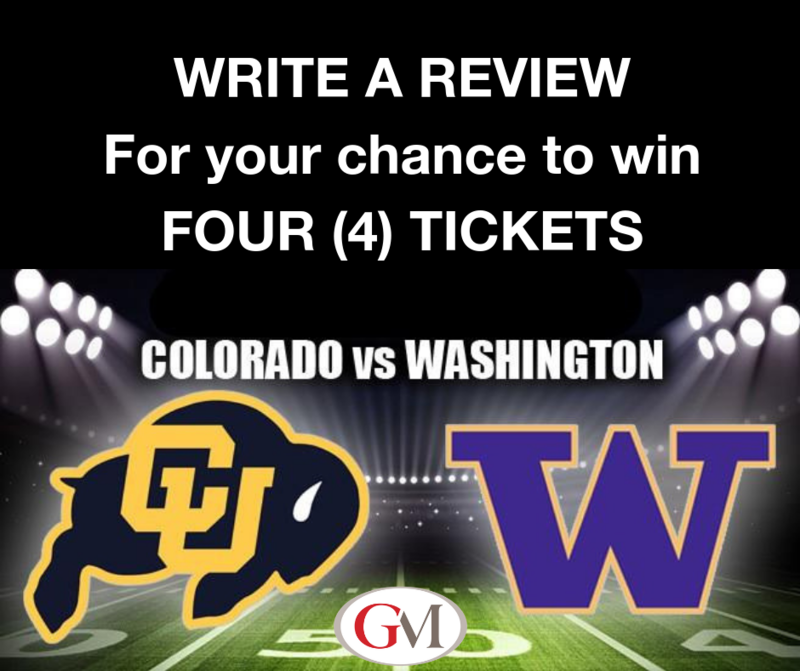 Win 4 Tickets to UW VS. Colorado! We would like to send you to the upcoming UW vs. Colorado game on October 20th at 12:30pm. To enter the contest all you have to do is write us a five-star review based upon your experience buying or selling a home with the Marks Team. Don’t be sad if you moved out of the area! Your reviews will enter you to win a $50 Amazon Gift Card. Must have purchased or sold a property with the Marks Team. You receive 1 (one) entry for each written review per platform. Each spouse can write a review to earn an entry. *For Zillow reviews username must be recognizable or send us a screenshot of your Annon837 review. Winner will be drawn 10/17/18! For example, Bob and Jane bought a home with Gordy in 2013 and Jane wrote him a Zillow review. They would currently have 1 (one) entry into the drawing. If Jane copied that review and posted to Google, Facebook, and Yelp they would now have a total of 4 (four) entries. If Bob wrote his own review and copied it to the same websites Bob and Jane would have a total of 8 (eight) entries! Here are the links to the sites to write the reviews!